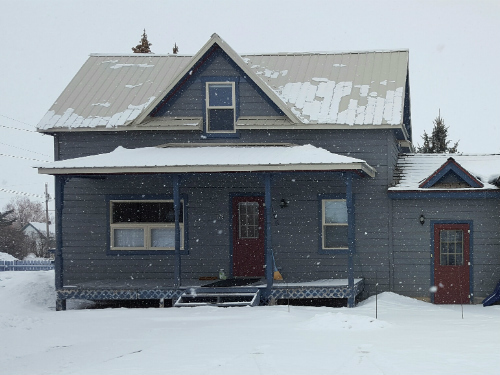 Charming 2-story house right in Driggs! Dog friendly, with a partially fenced yard! 3 bedrooms, sleeps 5. 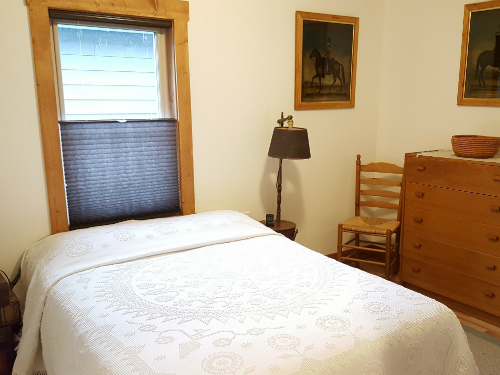 On the main floor is the master bedroom with a full / double size bed. 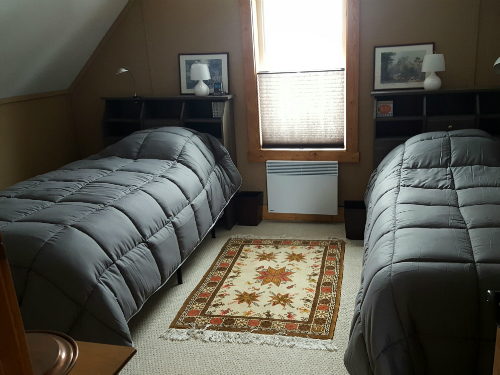 Located on the second floor are 2 bedrooms: One bedroom has 2 twin beds and the other has 1 twin. 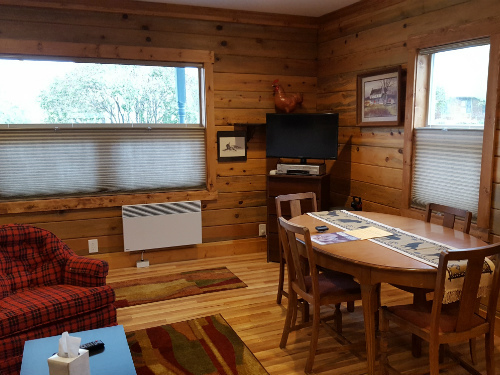 Well equipped kitchen including blender, coffee pot, crock pot, microwave and more. 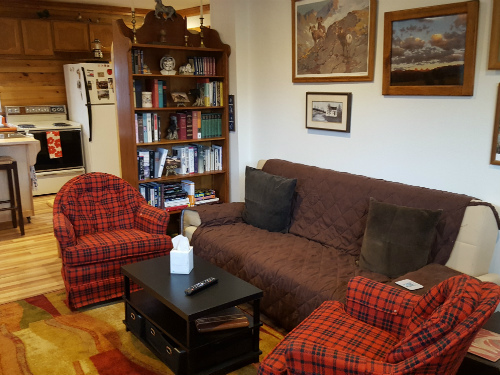 Living room has wood floors, comfortable furnishings and is open to the kitchen / dining area. Flat screen TV with DirectTV, DVD player, stereo system with CD and tape player. Wireless internet available. Manicured, partially fenced yard also has a beautiful deck with views of the Tetons. 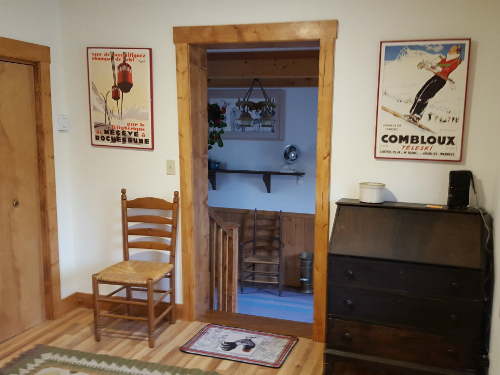 Full bathrooms on both the ground floor and upstairs. Keep your car warm in the winter with the attached garage, plus driveway and street parking.